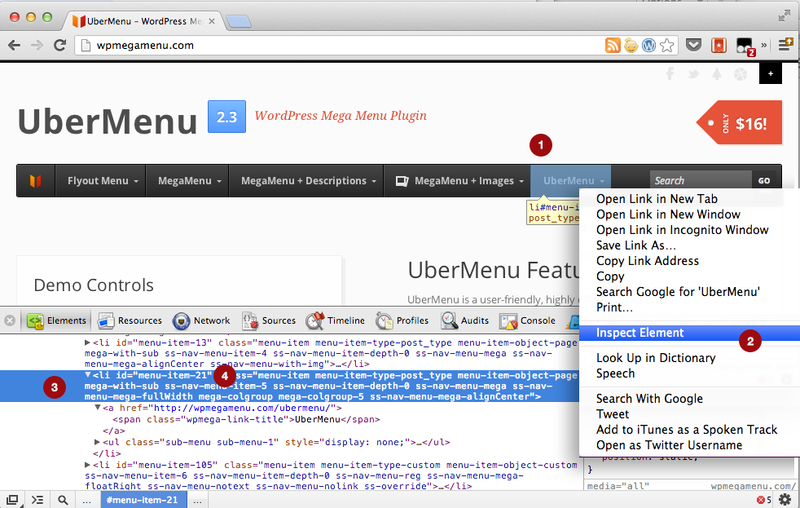 Note: in UberMenu 3 you will be able to change colors via the menu item settings without writing custom CSS. The beta is available in the forum if you’d like to check it out. Read the ID, which looks like id="menu-item-##"
Want to pick and choose which menu items have your special styling? Add a class! This is a default WordPress menu feature. Just add your special class to each menu item you need styled differently, and style that CSS class however you like. You can use the class technique as well.